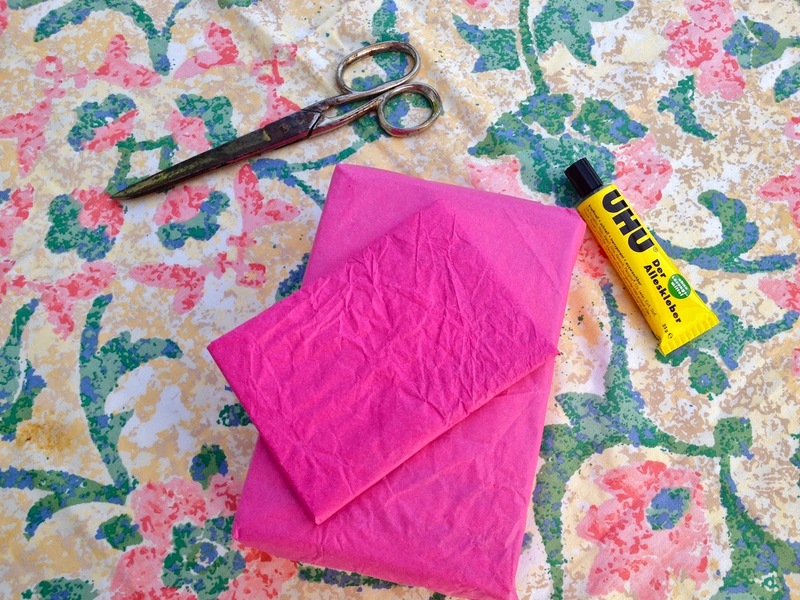 recently I helped myself to a new (beautiful) orchid, which happened to be wrapped in pink tissue paper. In addition two twigs were put in the pot as decoration. 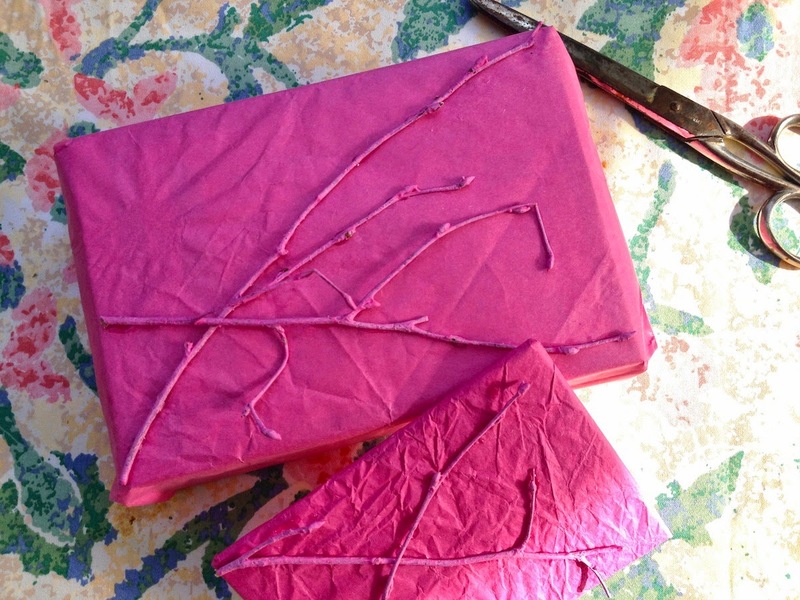 Both things, the tissue paper and the twigs, inspired me to a lovely gift wrapping idea that I wanted to share with you. :) It's really easy, but makes quite an impression. 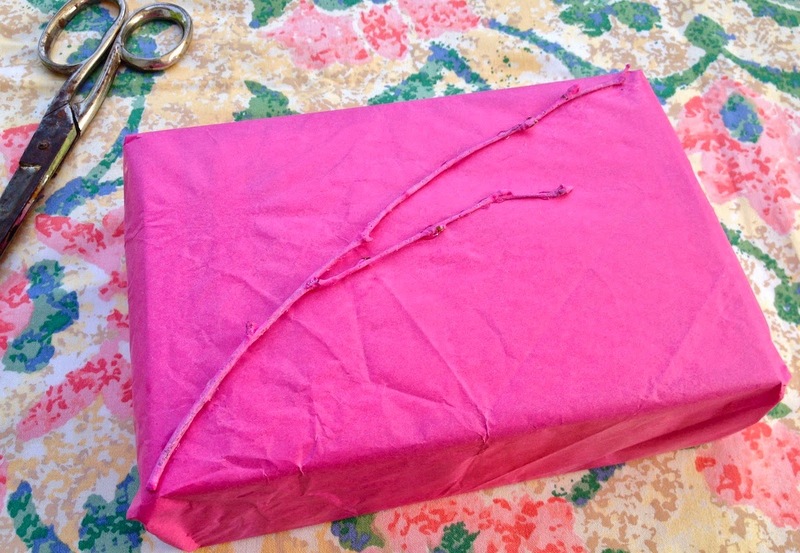 First, wrap your present into the tissue paper. Then, spray-paint the twigs and let them dry. 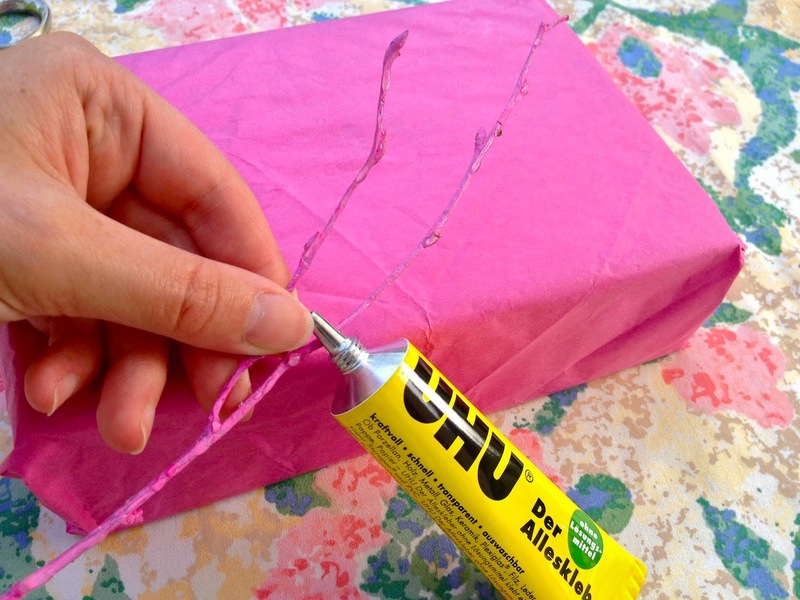 Afterward cut them into pieces in the size of your choice and use the glue to fix them on your gift. 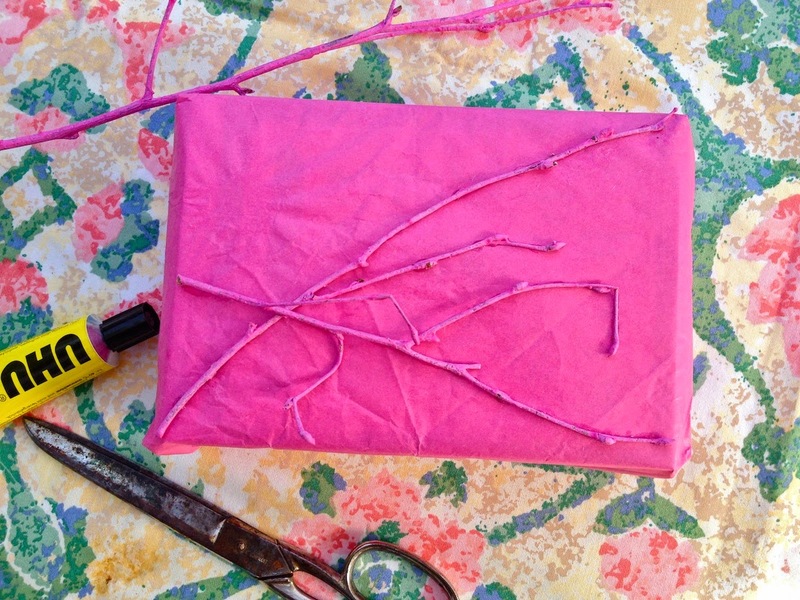 You can glue as many twigs on your present as you like. I chose two per gift to avoid the packages to look cluttered but that of course depends on the size of the gifts as well.